The «Art’s Night» is the logical continuation of the «Night at the Museum», «Music Night « and other events of the Department of Culture. The program will cover over dozens of familiar and not venues that will host meetings, concerts and film screenings – 250 places present special events for the night. The aim of the «Art’s Night» is to give the guests an opportunity to realize their dreams, in which they can write poetry or portraits, play Hamlet or guitar, twist fouetté or potter’s wheel. You will be able to visit master classes and artists’ open classes, organized in theaters, museums, libraries, houses of culture, concert halls and theaters. The Art’s Night will be held on November 3. Participants of «Live pictures» project are the visitors who will transform into heroes of famous paintings by great artists – «Athlete» by Casimir Malevich, «Barge Haulers on Volga» by Ilya Repin, “The Dance» by Henri Matisse and «Liberty Leading the People» by Eugene Delacroix. «Live pictures» will take place from 18.00 in Nekrasov’s Library, Baumanskaya St. 58/25, build. 14 and A.R.T.O. Theatre on Sretensky Boulevard, 6/1, build. 2. Cinema Night in the format of an open shooting area will be held in the Cinema 35 mm. Here you will learn the principles of filmmaking, and even try yourself as an actor in a leading role or a bit part in a short film about love. You can find all the details and register for participation on the site. 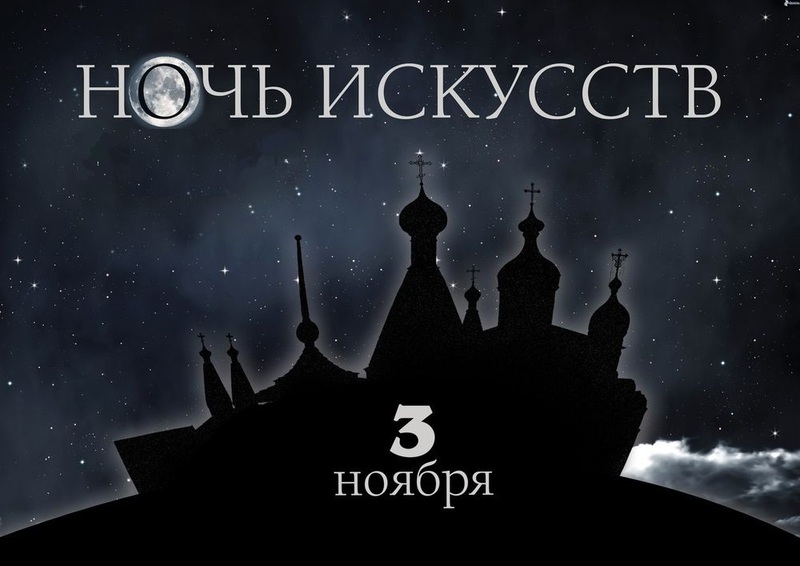 The Cinema Night will start at 20.00 in Cinema 35mm on Pokrovka St, 47/24. «Light in the truest sense of the word» – a light installation, prepared with specialists of Umbra, will become the main event of the evening. A portrait of the great poet will be created directly in front of the visitors from the letters of the Russian alphabet. Everyone interested will be invited to pass an examination in Russian. In addition, students of GITIS will present a performance «Tambov Treasurer» by M.U. Lermontov. The events will start at 18.00. The Museum of A.S. Pushkin is located at Prechistenka St., 12/2. The Museum of Moscow provides every visitor an opportunity to present their vision of the ideal museum of the future, bringing it together from hundreds of puzzle fragments. The event will be broadcasted on a giant screen in real time. Moreover, a trolleybus «Б» on the Art’s Night will become sightseeing. Sitting in this happy trolley, you can ride on round the Garden Ring and learn a lot. Registration is required. Museum of Moscow, Provision warehouses are situated at Zubovskiy Blvd., 2. The event will start at 18.00. Group Therr Maitz prepared an unusual concert in the Great Hall of the Moscow Planetarium at the Art’s Night. Registration for the event is over, but it is promised to let in everybody who comes early. The concert will start at 22.00. In addition to the music program there will be a meeting with Vladimir Martynov and Leonid Fedorov at the Museum of Musical Culture, lecture by Eugene Margulis in the Design Center Artplay and conversation with a group Triangle Sun at Vinzavod in the musical program of the night.